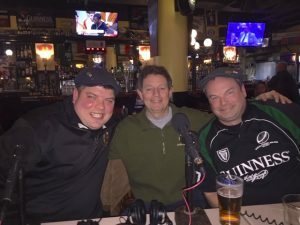 McCann’s Irish Oatmeal and Mike Haggerty Buick/GMC/Volkswagen present Hibernian Radio and we’re honored this week to welcome Pat Quane, Bill Oswald, and Marty Doherty, all Chicago Firefighters and union reps for Local 2. All three of the guys work the contract enforcement office and there are so many Irish guys there it’s been nicknamed “The Bog”. Pat, Bill and Marty represent varying generations of firefighters and they’ve all got stories, starting with “jumpers” trying to swan dive off the downtown high rises. Marty once saved a guy’s life as he was jumping out of a window and all the guy could talk about was how “you stretched and ripped my sweater!” Bill talked of all the fires across the city the night the Bulls won and Pat says he was on the ambulance the night CPD Mike Flisk was shot and killed. These are the guys who are on the front lines in the war that never ends. They all trade stories about the late, great CFD instructor Herbie Johnson, legacies in the department: fathers and sons, uncles, brothers all fire fighters, and some great history of the CFD, including The Brotherhood of the Barrel during the strike in 1980, when they tangled with late Mayor Jane Byrne, AKA “Byrne the Witch”. The city of Chicago is so blessed to have these guys on the watch, and there is also no end to the ball-busting as they tell their stories, but they all agree in the end that there is only “One Team, One Fight”. Special thanks to FF Jose Calvillo for being with us too. Then it’s off to Houli Town for some “Who Cares?” and a song sent in by Billy Treacy as a tribute to his Ma. Billy heard the show in Dublin and it’s great to know that our friends and families are tuning into the podcasts across the pond. 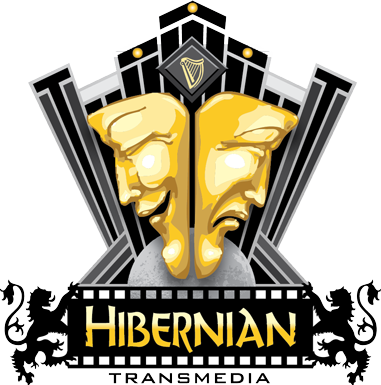 Thanks and spread the word about Hibernian Radio!